Even a champion needs a makeover. Tennis Champion Rafael Nadal will be getting a makeover from Nike. 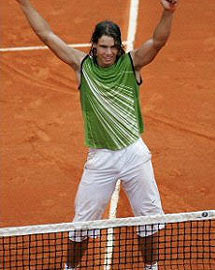 ...to a more refined and traditional Tennis player. You guys decide, which is better? The Rafa before or after?